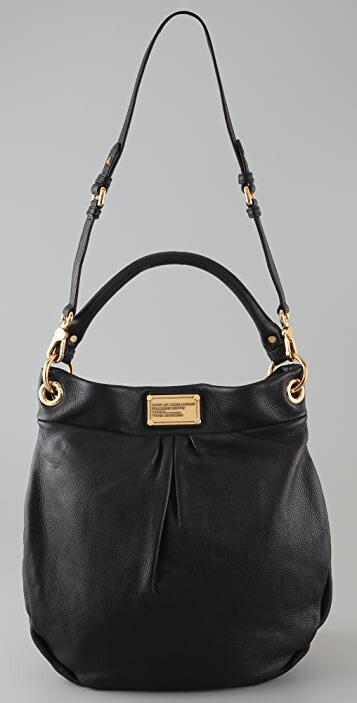 This pebbled leather handbag features a logo plate at the front and pleating at the front and back. Antiqued gold hardware. 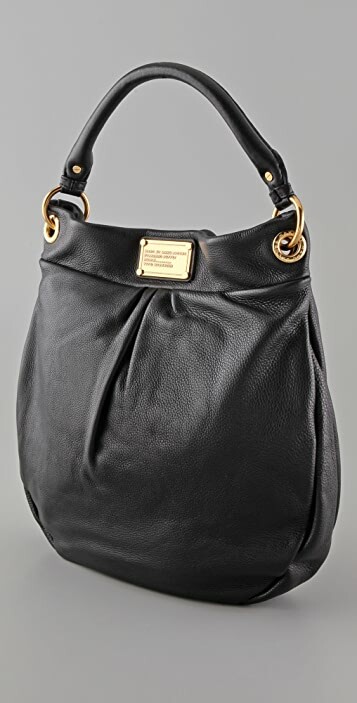 Rolled handle and detachable shoulder strap. Magnetic main compartment closure. Lined interior features zip pocket and 2 patch pockets. I'm extremely happy with this bag, it is large enough to hold all essentials, wallet, phone, sunglasses, reading glasses etc, yet neat enough to complement most outfits - a great accessory for every day. LOVE this bag, perfect for every-day use. Excellent description! I absolutely love the bag! I take it pretty much everywhere! Suits every outfit and such a perfect size! Its the perfect size on my shoulder and on my arm! Its roomy enough inside that it fits everything! 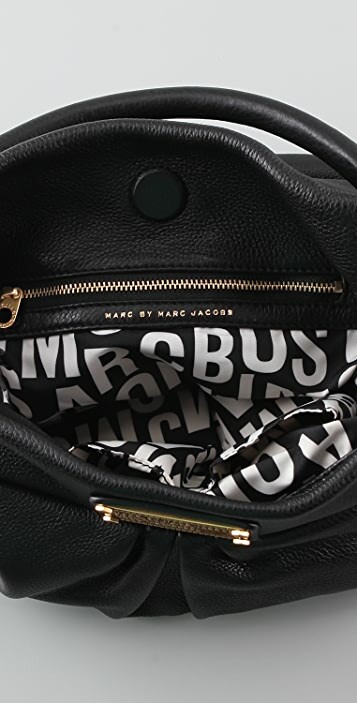 I love the inside material and love how there is marc jacobs written all inside of it in black and white. The texture and feel of the leather is amazing! And I adore it! I am in love with this gorgeous hobo! It's my first MBMJ bag and i use this everyday. It fits quite a lot inside, is made of great leather and the style is so versatile, it suits everything that you wear. Very happy! I bought this bag after seeing it online only - I absolutely love it. It is roomier than I thought it was going to be and the style is really versatile. 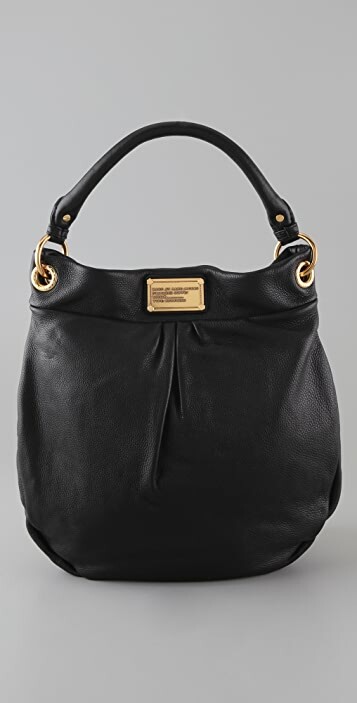 I am fairly tall and I was concerned that it would look small, however I think it is the perfect size (I thought about getting the Classic Q Huge Hillier Hobo but I think that would have been way too big for everyday use). The handle is slightly shorter than I expected (making it a little harder to wear on the shoulder over bulky coats) but this isn't really a problem; it sits higher under the arm adding security as the bag uses a magnetic closure. The pebble leather has a really nice finish. I am really happy with my purchase. This bag is really nice in the fact that you can wear it many ways. It does go with a lot of things. The leather is also gorgeous! I got hooked to mbmj coz of this purse. I like how youcan use it as a shoulder bag n a messenger bag.